How often do any of us really sit and reflect on our selves and our lives? “We have no time to- life is so busy” this is often the resounding answer. So what does that mean-The I in me? It refers to the core of ourselves, the innermost hidden parts that we may not even be aware of or that we guard well. There is so much more to us than meets the eye. We are not only defined just by our names, ages and roles we play in life. We are defined by so much more which makes each and every one of us unique. This blog has been designed to make you think, reflect and appreciate the diversity of life within yourselves and others. To really focus on the I inside each of us that is often unheard, forgotten or ignored. We are made up of so many different aspects, and have various selves- our physical, emotional, psychological, intellectual, social, cultural, religious and sexual selves. This is not an exhaustive list there are many other factors that make us unique- our age, gender, class, economic status etc. Our personal experiences in life shape who we are, how we think and how we behave towards others. We all share a natural curiosity to learn more about ourselves and others in order to enrich and enhance our personal and professional relationships with others. I invite you to share your views and reflections about your own personal journeys in life- to celebrate the diversity of life and appreciation of the self and all it encompasses- the beauty of being you. 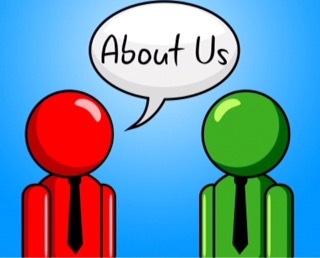 Feel welcome to share anonymously or by stating your names its entirely up to you. You never know who you might inspire with your own stories, poems, insights and revelations. Who am i to others? Do i think others like me? Do others perceptions of me match my own views of who I am? Who is the me i show to the world? Who is the me i hide out of fear, guilt, shame, embarrassment or just plain secrecy? Who is the me i pretend to be? Who is the me I would like to be? What does being me mean to myself and others? Is there a difference between me now and the person I want to be? How can i bridge that gap and make the I in me stand out? Lots of food for thought….